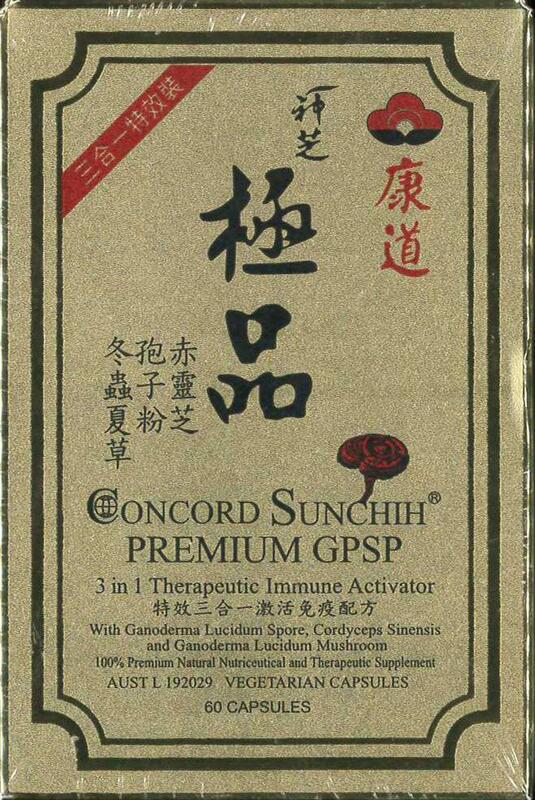 Concord Sunchih Premium 3 in 1 is more effective and stronger than Concord Sunchih. Integrating the essence of the goodness of 88% Ganoderma spores, Ganoderma Lucidum extract 10:1, and Cordyceps Sinensis. This is one of the most extraordinary therapeutic supplements you can find in the world. Its miraculous effects are attributable to its distinctive constituents. Many species of mushrooms have been used in Traditional Chinese Medicine for thousands of years. There are numerous legends and historical records regarding their health benefits. Ganoderma Lucidum known as Ling Zhi or Reishi is one of these mushrooms with a long history of use. Others you may have heard of include Cordyceps sinensis and Trametes versicolor. - In healthy individuals, helps support and maintain a healthy immune system, a healthy heart, normal blood pressure, normal cholesterol levels, normal blood sugar levels and a healthy respiratory system.